Fire up a Synergy Morgan AC preamp and the jangly flexibility that is making the Morgan ACs players' go-to amps will be yours. In fact, the AC module is designed by Joe Morgan himself to elicit all the detail and tone of his own amplifiers. Onboard you'll find two similarly voiced channels that, unlike on the amplifiers, allow you to quickly switch between two AC tones on the fly. Two 12AX7 preamp tubes are employed to deliver British character and crispy break up. 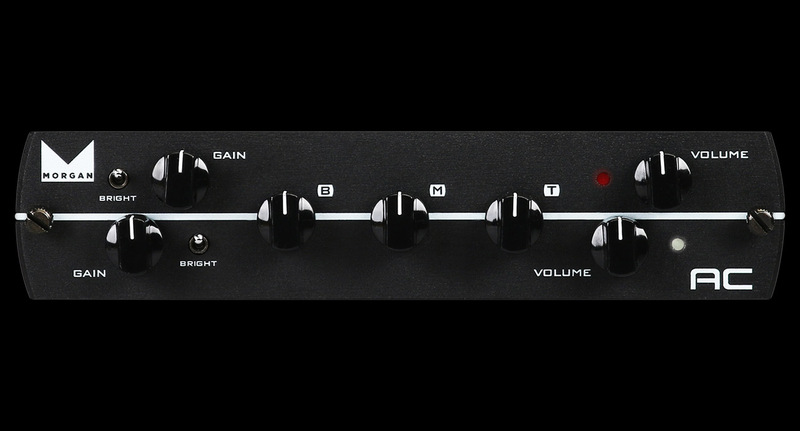 And each channel is outfitted with a bright switch for tailoring the preamp to each of your guitars. When nothing but AC-style tone will do, plug in your Synergy Morgan AC preamp. 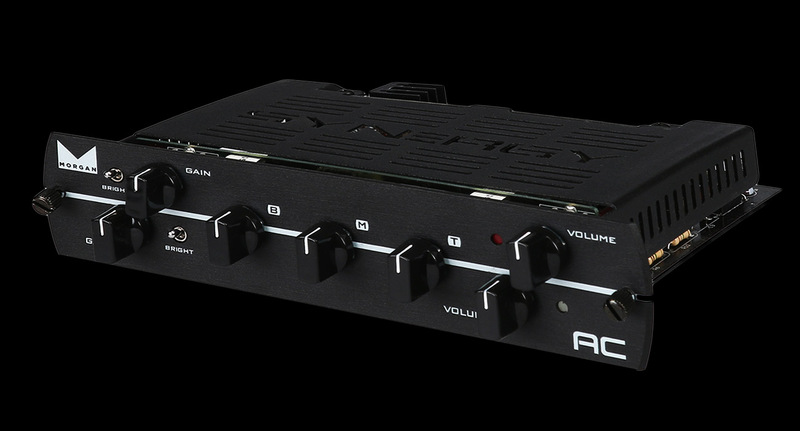 The Synergy AC pre-amp features two channels each with knobs for gain and volume and a bright switch. Both channels share a three band EQ. 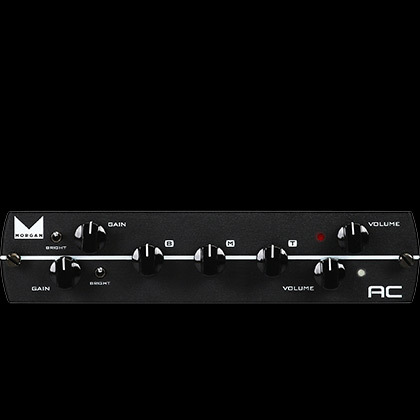 The Morgan AC module features a three position switch allows you to configure the input tube bass response to match the original circuit of the selected module (patent pending). This will affect the feel and tightness. Each amp designer has a specific combination of components that makes up their input tube circuit. We have selected the three most popular combinations which you can access with this switch. This module will come preset to Joe Morgan's choice which for the AC module is position 1 ( 1.5K resistor and 22uf capacitor).